Tan Color -Heavy Duty Commercial Grade Vinyl Straight/ Flat Railing Kit - 42" Tall x 72" Wide -Includes everything for one section. Includes all brackets. Does not Include posts. No More Painting, Sanding our Staining. 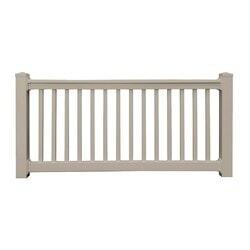 Our Heavy Duty Sefton Railing adds actual value to your project as it is backed by our transferable lifetime warranty. 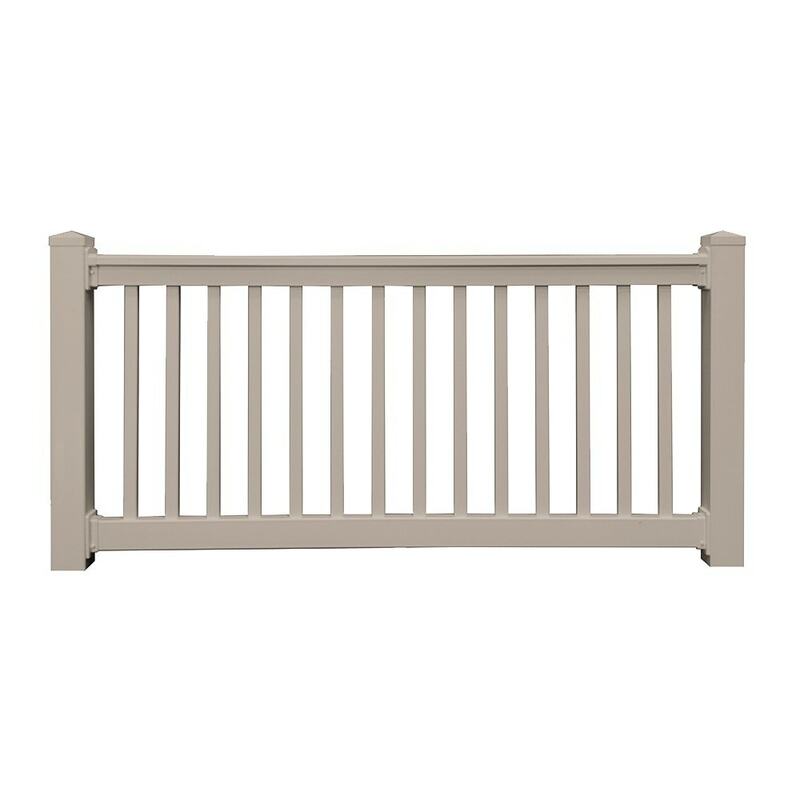 Heavy Duty Sefton Vinyl Railing System features 1.5" x 7/8" spindles for a contemporary look and has our molded T- Rail top rail and our Heavy Duty 2" x 3.5" bottom horizontal rail. Includes Vinyl Railing installation support 24/7. Super fast shipping direct from the manufacture. Most orders ship within 3 business Days. 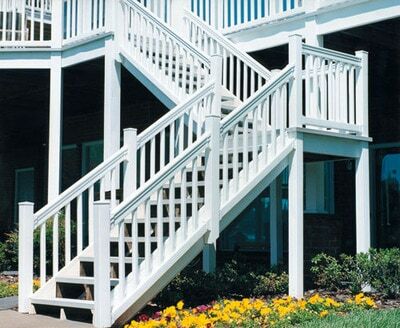 Our Heavy Duty Railing includes aluminum inserts in top rail for commercial strength. Our commercial brackets are tested to AC174 standards and are polycarbonate. Our Heavy Duty Sefton Vinyl Railing System is International Residential Code Compliant (IRC) and tested in accordance with ICC-ES AC174 standards as evaluated by PEI, Inc. Code Compliance Report PER-08032.